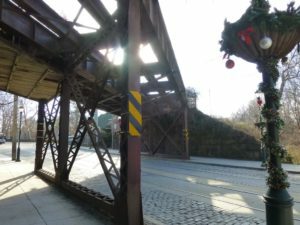 In December, The Philadelphia City Council Committee on Parks, Recreation and Cultural Affairs voted unanimously to approve bill # 170856 which allows the city of Philadelphia to acquire the train trestle over Germantown Avenue and sign a license of agreement to lease the adjacent right of way to Stenton Avenue. 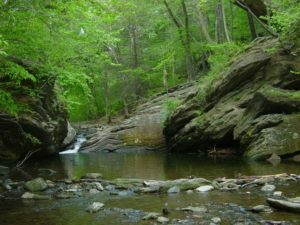 This was a major win for the Friends of the Cresheim Trail, The Circuit Coalition, the Tookany/Tacony Frankford Watershed Partnership, Friends of the Wissahickon, and trail users across the region. Several BCGP members were on hand to show their support for the ordinance. Susan Dannenberg, Chair of the Friends of the Cresheim Trail Board, gave testimony to the Committee Chair Cindy Bass and members Kenyatta Johnson, Curtis Jones Jr., Al Taubenberger, and Maria Quinones-Sanchez. This Thursday at 10am, the ordinance will proceed to a full council vote, where it is expected to pass. Please come out to show your support for the Cresheim Trail. Click here for details. While the Philadelphia portion of the Cresheim Trail is just over 2 miles, it provides a key connection to Montgomery County and moves the Cresheim Trail up in priority for the Montgomery County Planning Commission. Once complete, the 9-mile Cresheim Trail will connect Forbidden Drive with the Tookany-Tacony-Frankford trail, thus connecting several low- to moderate-income communities with better economic opportunities, as well as access to health, wellness, and the gorgeous Wissahickon Valley. UPDATE: The bill has passed City Council! Thanks to everyone who worked so hard on this project for so long! Especially former Bicycle Coalition staffer Susan Dannenberg, who spent the better part of five years advocating for this trail.